If you have only One Smile in you Give it the People you Love. 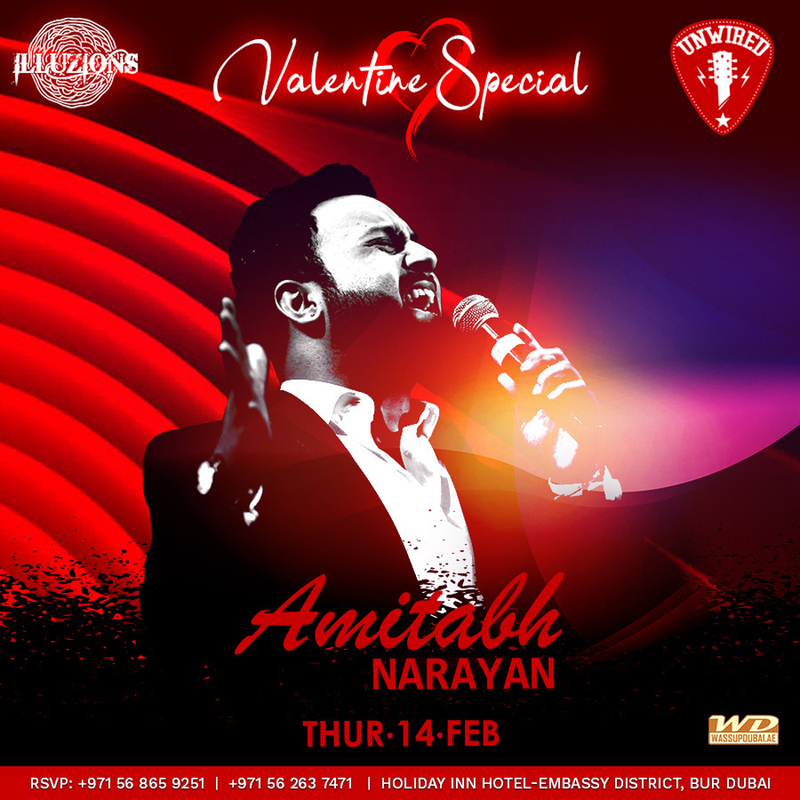 Valentine Special: Unwired Thursdays with Amitabh Narayan from India performing on Thursday 14th February. Come down with Love of your Life and Friends at iLLuzions Lounge in Holiday Inn Hotel - Embassy District, Bur Dubai. For info and reservations call 056 865 9251 / 056 263 7471.